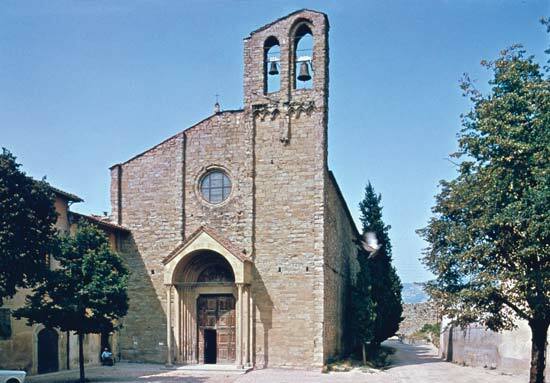 The Parish Church of Santa Maria Assunta, even older than the Cathedral of Arezzo itself, can be reached in a few minutes on foot from our bed and breakfast and is undoubtedly a place of worship among the most majestic, as well as one of the oldest Romanesque churches in Tuscany dating back to the XII and XIV centuries. 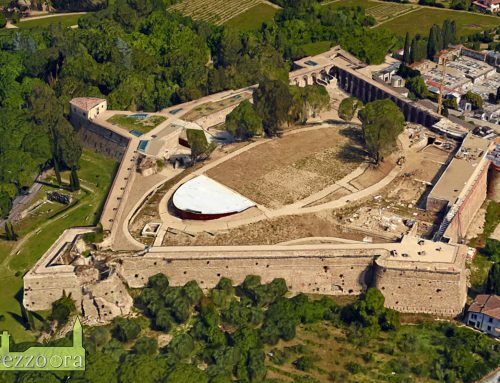 The restoration occurred in the nineteenth century has allowed to establish the exact orgini thanks to the discovery of remains of marble monuments, fragments of sculptures, mosaic floors as well as a small church inside it dating back to the High Middle Ages. The external façade, in Romanesque style, is very original as it was enriched in the thirteenth century by blind arches resting on columns with Corinthian capitals and by three orders of overhanging loggias, evidence of the influence of the Pisan school. The style of the loggias is unique in that it presents an alternation of stems with different patterns (one of them consists of a statue); the same applies to the capitals. The bell tower that dates back to the fourteenth century stands out for 59 meters to the right of the facade and is called “Tower of a hundred holes” because it has forty Romanesque mullioned windows divided into five orders. 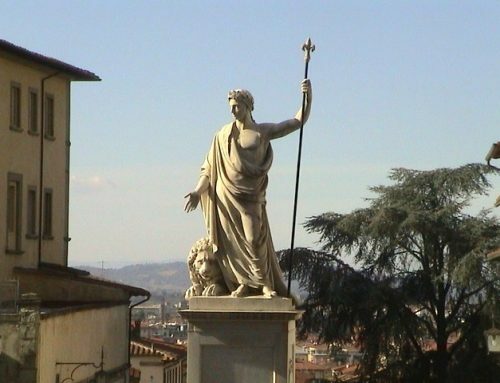 One of the peculiarities of this church is its location; it is accessed by a rather narrow road but its majesty is also affirmed in the famous Piazza Vasari where you can admire its posterior part made up of blind arches and in the lower part by arches with columns different from each other, including it is possible to notice a broken one. The interior of the Pieve, of important height, has three naves interspersed with pointed columns that lead to a very wide unique apse; the presbytery rises above a crypt reconstructed in the nineteenth century. 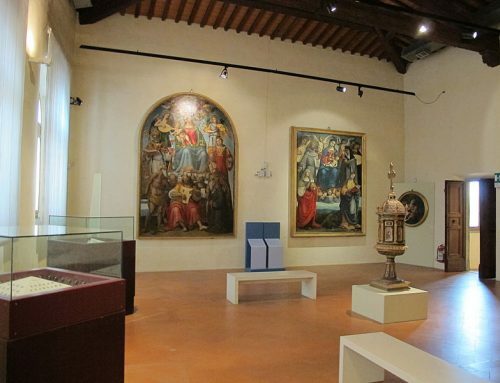 Among the works contained within this jewel of history we remember: at the Altar Maggiore, the Polyptych painted by Pietro Lorenzetti for the bishop Guido Tarlati (Madonna with Child, Annunciation, Assumption) dated 1320; a fresco with Saints Francis and Dominic dating back to the fourteenth century and attributed to Andrea di Nerio; The Chapel of the Sacrament; the golden silver reliquary bust of the patron saint of the city of Arezzo, San Donato of 1346. 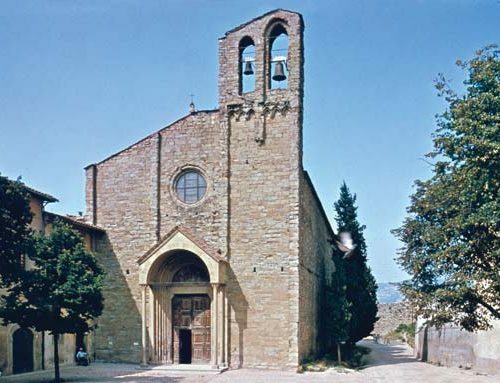 The ancient church of Arezzo Santa Maria della Pieve, also commonly known as the Pieve, is a place of Catholic worship, among the largest and most attractive in all of Tuscany. 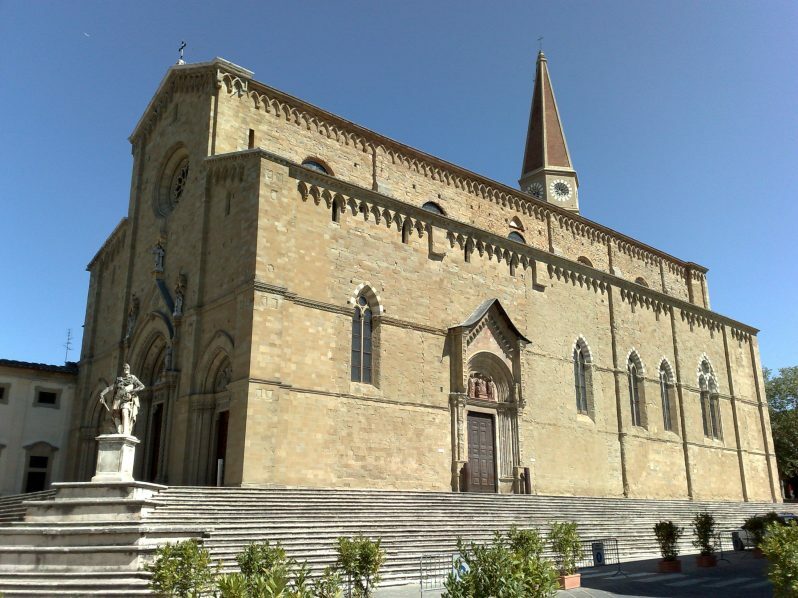 Built entirely with sandstone, the church is located on the main street of the historic course of Arezzo, or Corso Italia, with the apse that protrudes towards Piazza Grande. The most striking element of the Pieve is surely the great bell tower, symbol of the city that was finished in 1330. 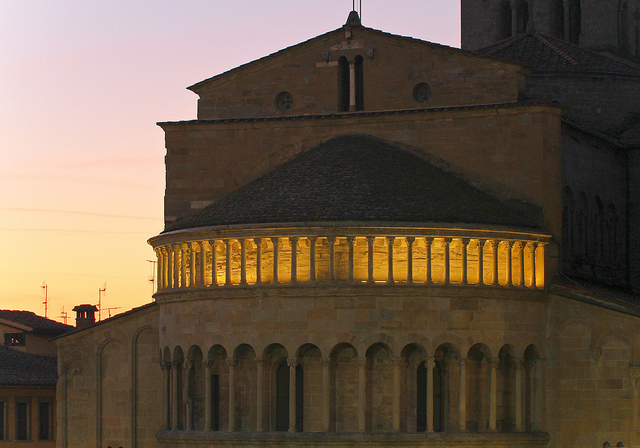 The construction of this building is one of the earliest architectural examples of the Medieval period of Arezzo, and began during the second half of the twelfth century. 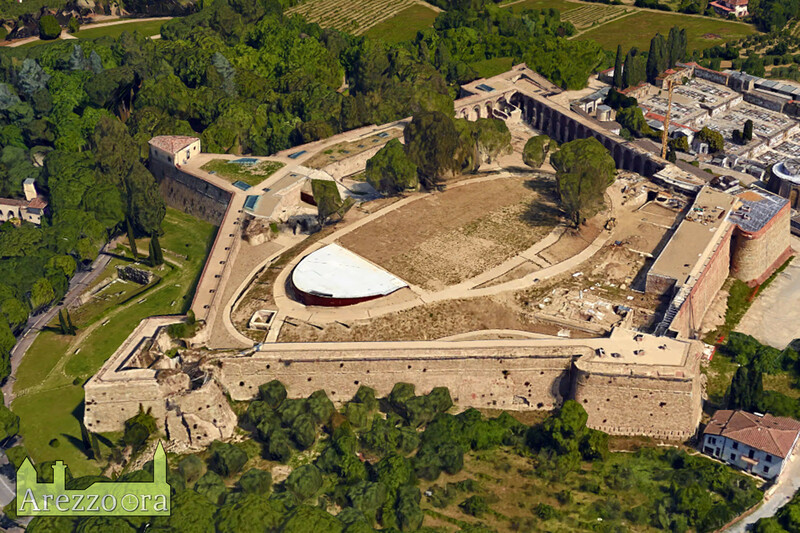 This large church was built on the remains of another place of worship dating back to the year 1000. Architectural residues of the original church can be admired in the decoration of the door on the side of Via Di Seteria. 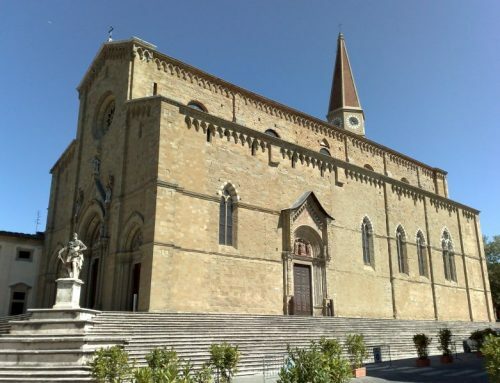 The construction of the ancient church of Arezzo Santa Maria della Pieve was not completed until the first half of the fourteenth century, with restorations and alterations that took place during the sixteenth and nineteenth centuries, and even more recently. The external facade in Romanesque style was originally simple, but with the rise of the architectural influence of Pisa, it was modified with a series of blind arches resting on columns surmounted by Corinthian capitals. Inside we find a large central nave and two side aisles. The central nave flows into an apse, or the final and rounded part of the church, which is really vast. 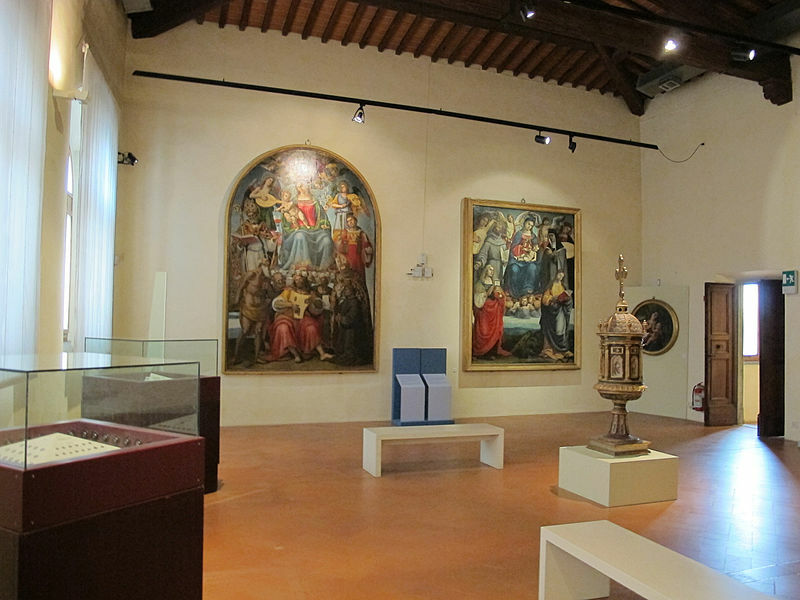 The interior walls of the church are decorated with works of art of great historical importance, here we find the famous painting of the Virgin with the Child and the Saints John the Evangelist, Donato, Giovanni Battista and Matteo, commissioned to Pietro Lorenzetti in 1320. But not only, in the crypt is preserved the reliquary bust of San Donato, born in Arezzo in the fourth century and patron saint of the city and the province. Among the few remaining frescoes, there is also the one depicting Saints Francis and Dominic, attributed to Andrea di Nerio, and which we can admire on the left side of the presbytery. As for the sculptures in the ancient church of Arezzo Santa Maria della Pieve we remember the two panels depicting the Presepio and the Epiphany, attributable to an antelamic sculptor, or a follower of the great sculptor Benedetto Antelami. Discover all our offers for your holidays in Arezzo.